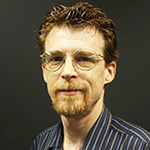 Spread.NET 12 Windows Forms introduces a new API layer based on Microsoft Excel's VSTO object model which can be used to implement advanced formula tracing and auditing for spreadsheets. These powerful APIs can return detailed information about the formulas in the worksheets. IRange.Formula for cell formulas, or IRange.FormulaArray for array formulas when IRange.HasArray is true (in this case, you can use IRange.CurrentArray to get the range of cells where the array formula is applied). The IRange returned by DirectDependents, DirectPrecedents, Dependents, and Precedents may be a multiple selection (a union of disjoint range objects) if there is more than one range to return. However, a quick glance at the indicator arrows shows that this formula's precedents – the cells which are referenced by the formula – include the "Game state" cell (H26), the top-left cell in the “Starting position” block (B5), and three sets of cells in the "Final position" block – the cells in the first row (B15:J15), the cells in the first column (B15:B23), and the cells in the first 3x3 "big box" (B15:D17). It is also clear that this formula's dependents – the cells which reference the formula's calculated value – include certain particular cells in the "1" position inside the "Possible numbers" block, and certain particular cells in the "1" position inside the "Solution numbers" block. The pattern of which of those dependent cells are referenced shows how the logic of the solver operates using the adjacent "1" position cells in the "Possible numbers" block to set the "1" position numbers in the "Solution numbers" block. You can explore the other formulas in the solver to see how it operates in detail. The cells in the "Final Position" and "Solution numbers" blocks are similarly complex and the indicators are very helpful. 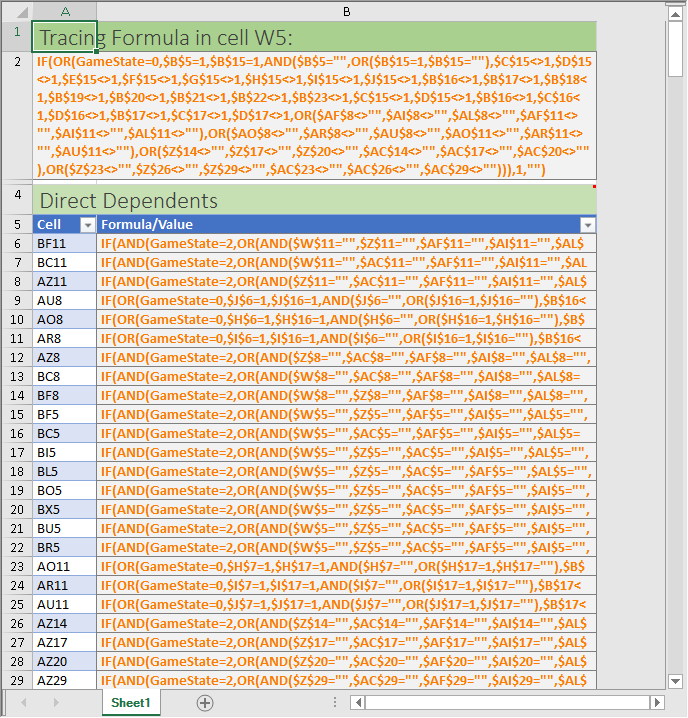 You can generate a detailed report of the selected cell formula listing each direct dependency, direct precedent, and if there are more dependencies or precedents, the full listing of all dependents and precedents of the formula using the menu item Formula Tracing – Generate Report: (please note, you must first select a cell containing a formula). The generated report shows the cell and formula being traced, and then lists all direct dependents and direct precedents. If there are more dependents than already listed in the direct dependents, then all dependents are listed, and if there are more precedents than the direct precedents then all precedents are listed. 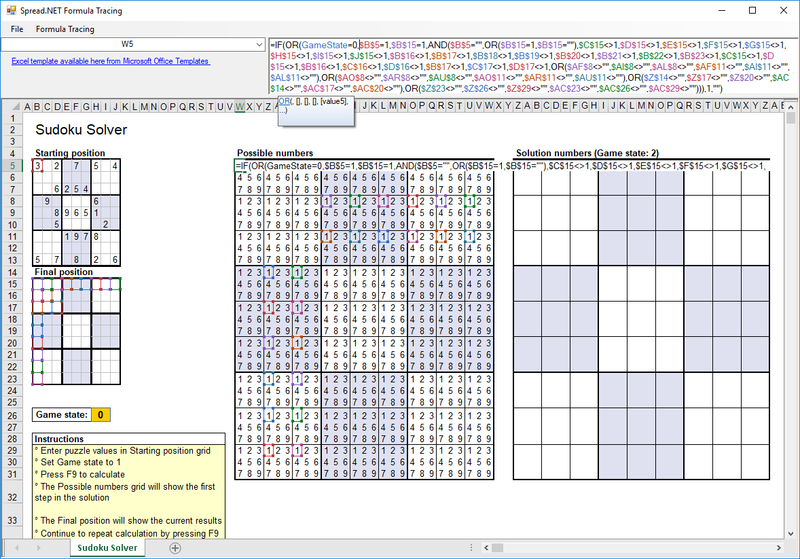 You can trace the formula references in other spreadsheets using the File – Open menu item to open the Excel spreadsheet document (XLSX, XLSM, or XLS). ofd.Filter = "Excel Spreadsheet (*.xlsx;*.xlsm;*.xls)|*.xlsx;*.xlsm;*.xls|All Files (*.*)|*. *"
sv.Cells(0, 0).Text = "Tracing Formula in cell " & targetCell.Address(False, False, ReferenceStyle.A1, False, targetCell) & ":"
sv.Cells(row, 0).Text = "Direct Dependents"
sv.Cells(row, 0).Note = "Direct Depedents are cells which are directly referenced in the target cell formula." sv.Cells(row, 0).Text = "Direct Precedents"
sv.Cells(row, 0).Note = "Direct Precedents are cells which directly reference the target cell." 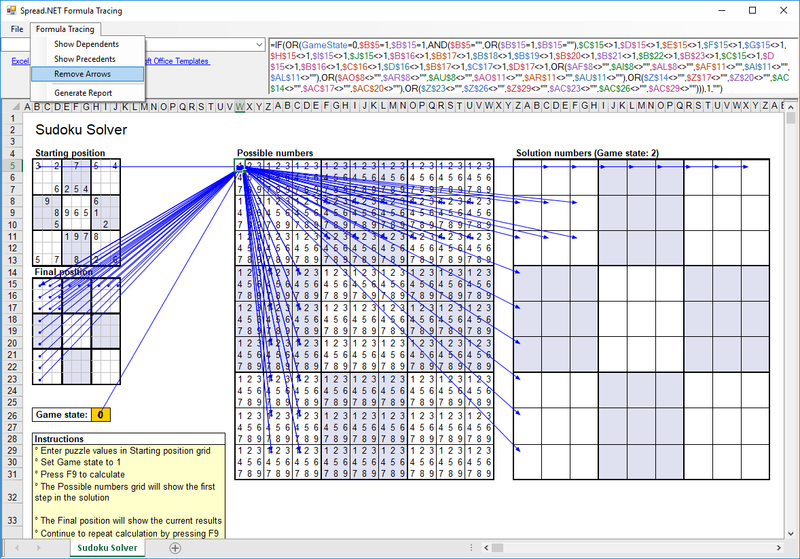 sv.Cells(row, 0).Text = "All Dependents"
sv.Cells(row, 0).Note = "Depedents are cells which are directly referenced in the target cell formula, and all cells which are directly referenced in those cell formulas, and so on." sv.Cells(row, 0).Text = "All Precedents"
sv.Cells(row, 0).Note = "Precedents are cells which directly reference the target cell, and all cells which directly reference those cells, and so on." In another article, we show you how to implement a custom function for Spread.NET 12 Windows Forms (that works just like the built-in functions in cell formulas.